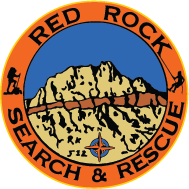 Red Rock Search and Rescue is a 100% volunteer 501(c)(3) Nevada charity that responds anywhere throughout Southern Nevada when our neighbors need assistance searching for any individual. From Mt. Charleston to Lake Mead, our team of more than 200 dedicated volunteers is ready to respond. In one year, Red Rock Search and Rescue added a value over 1 million dollars in services and training to Southern Nevada – and we’ve done it with donations and volunteers. We are a local charity which means your donation will have a direct impact in your backyard. 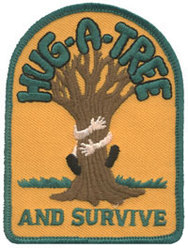 Since we are a Nevada 501(c)(3) charity, all donations are tax-deductible. Join the search and make a difference. Businesses can choose to sponsor RRSAR through a number of participation levels. If you’re interested in becoming one of our corporate sponsors, please email our treasurer at treasurer@redrocksar.org. We also accept donations through Network for good. You can use your credit card and make a one time donation or set up convenient, monthly recurring donations. If you have any questions, please feel free to contact us at 702-233-9515 or email our treasurer at treasurer@redrocksar.org.